Fog signal: One (1) blast every 15 seconds (2 second blast). 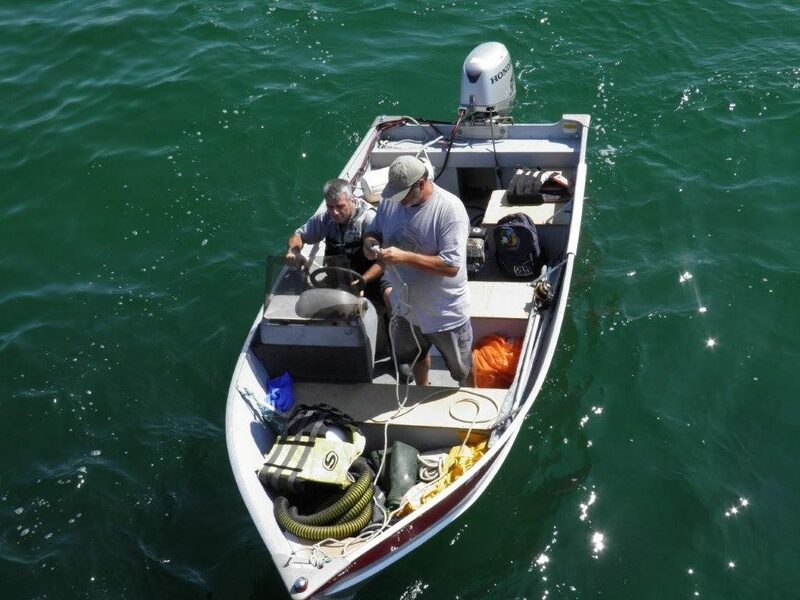 Radio activated (via MRASS) and lasts 60 minutes. 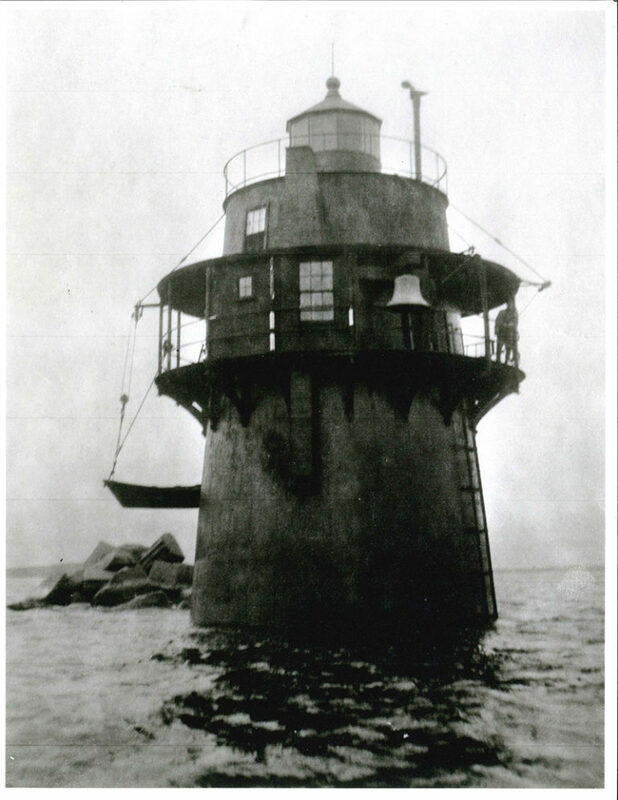 Bug Light, (officially known as Duxbury Pier Light, or, fondly, “The Bug”) was first lit on September 15, 1871, it was installed to protect mariners from the dangerous shoal off Saquish Head. 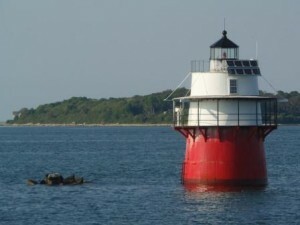 In truth, the lighthouse is neither in Duxbury nor is it on a pier. 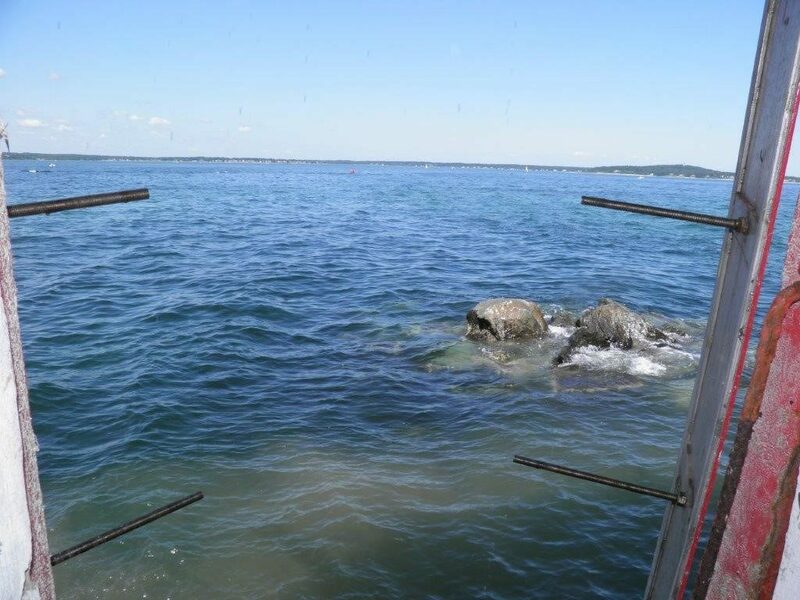 In 1813, a stone pier was erected near where Bug Light is today. 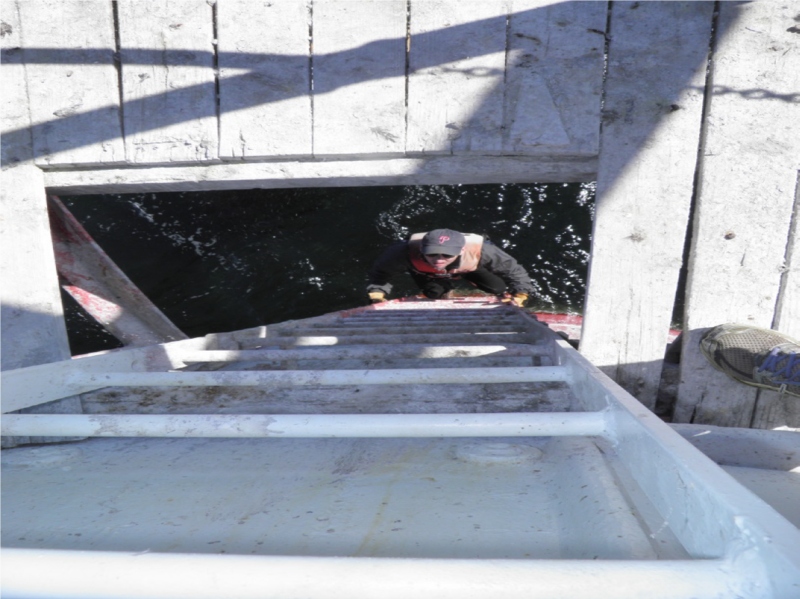 It was twelve feet square at the bottom, and eighteen feet high, six feet above the water at high tide. 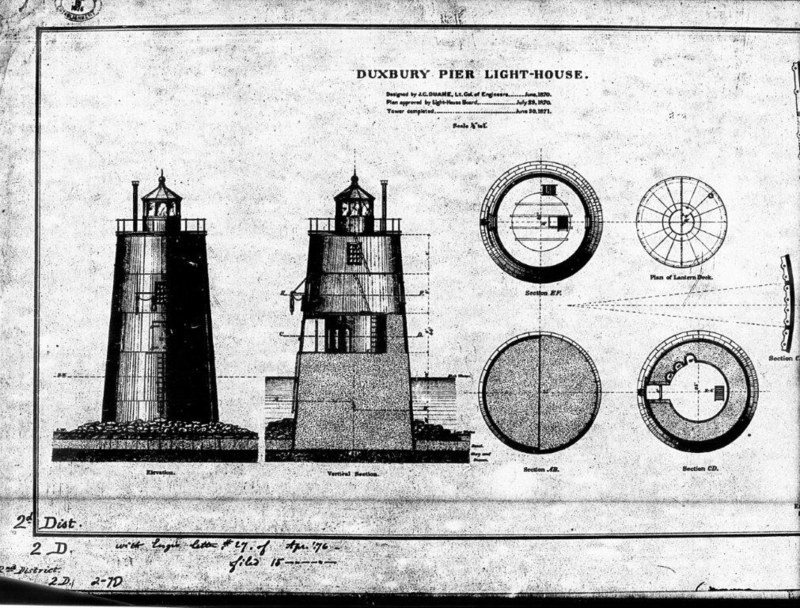 The lighthouse’s closeness to the pier and to the town of Duxbury is probably how it came to be officially named Duxbury Pier Light. 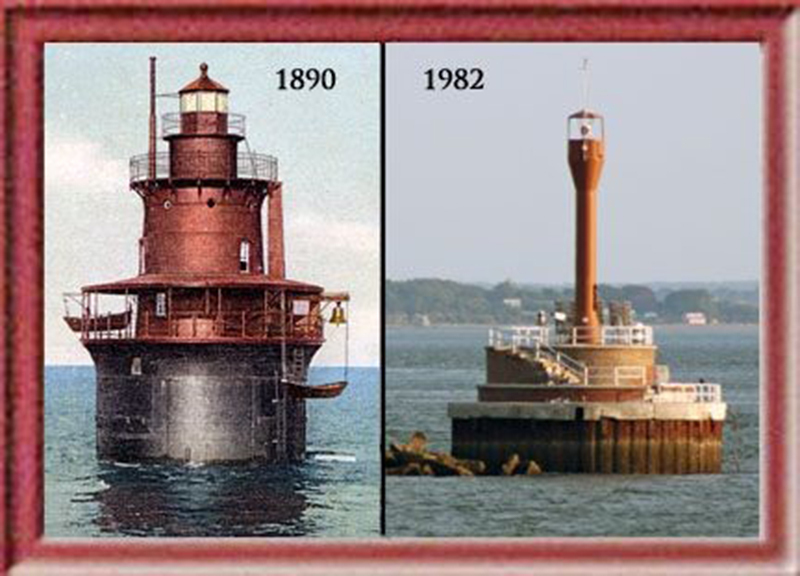 The picture included shows both the original lighthouse and the pier close by. 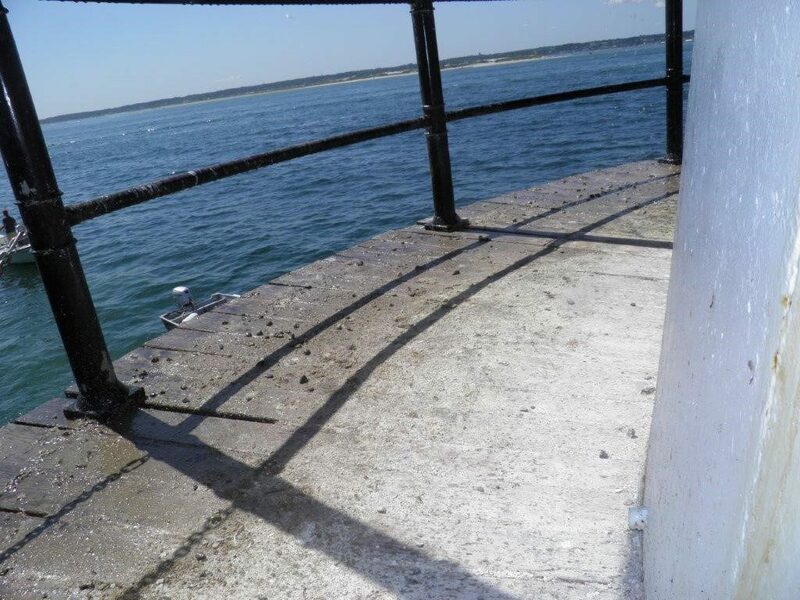 The pier no longer exists but the pile of riprap it stood on remains. 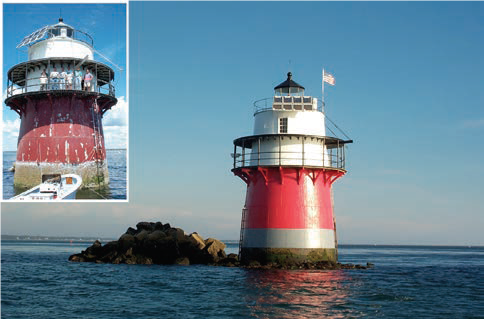 Bug Light was the first cast-iron caisson style lighthouse built in the United States. 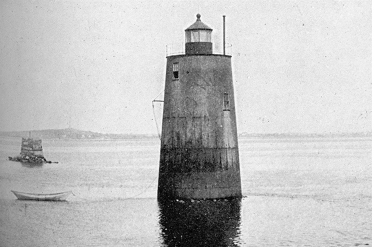 Its light stands 35’ above high tide. 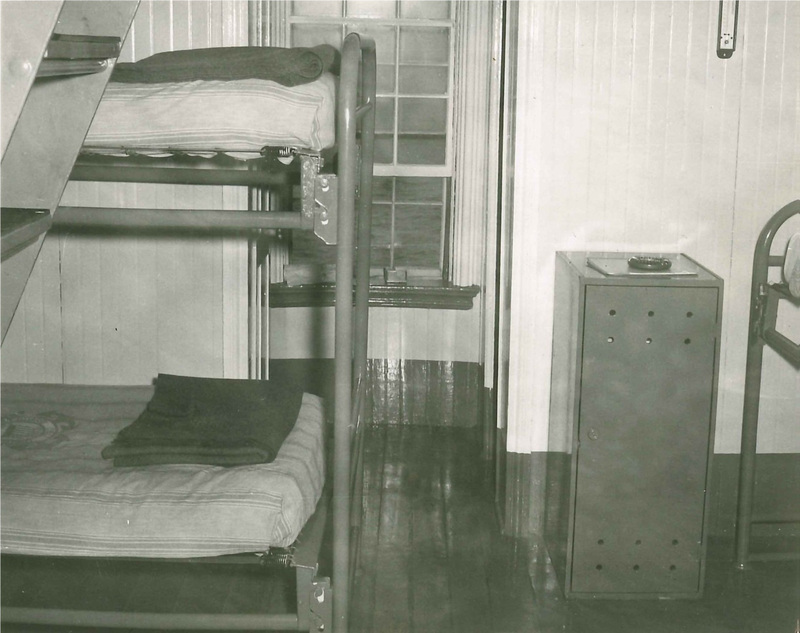 The lighthouse contains four levels that include living quarters, sleeping quarters, a watchroom, and a lantern room. 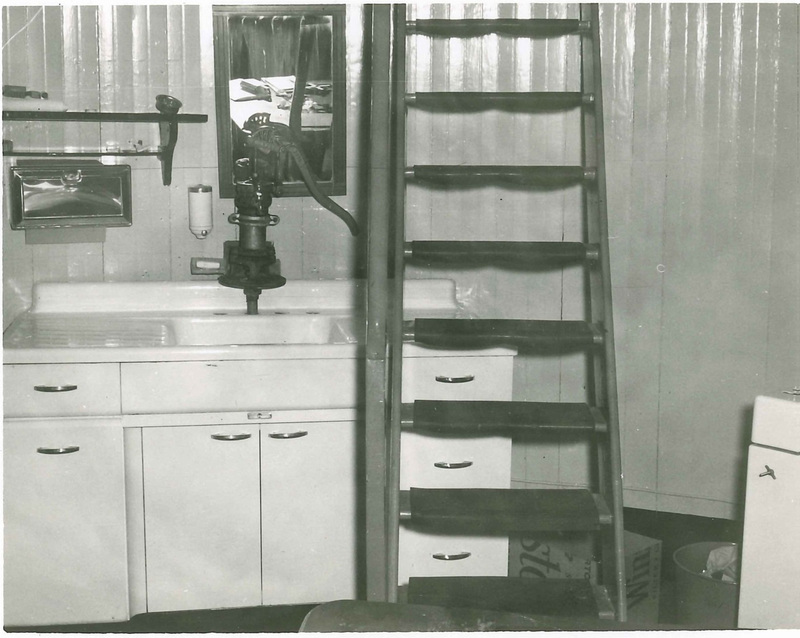 Sink and original metal ladder to the third level. 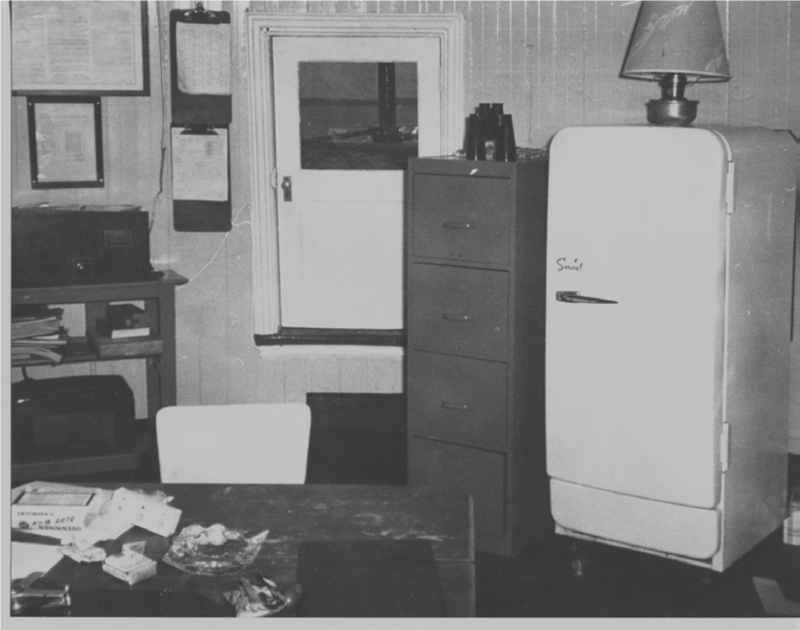 Note the well pump for water. 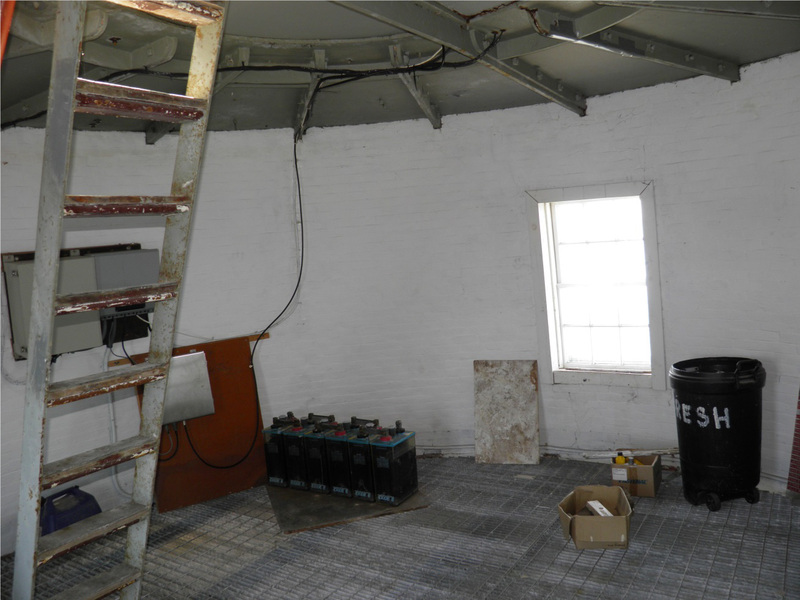 The lantern room at the top held a fourth order Fresnel lens. 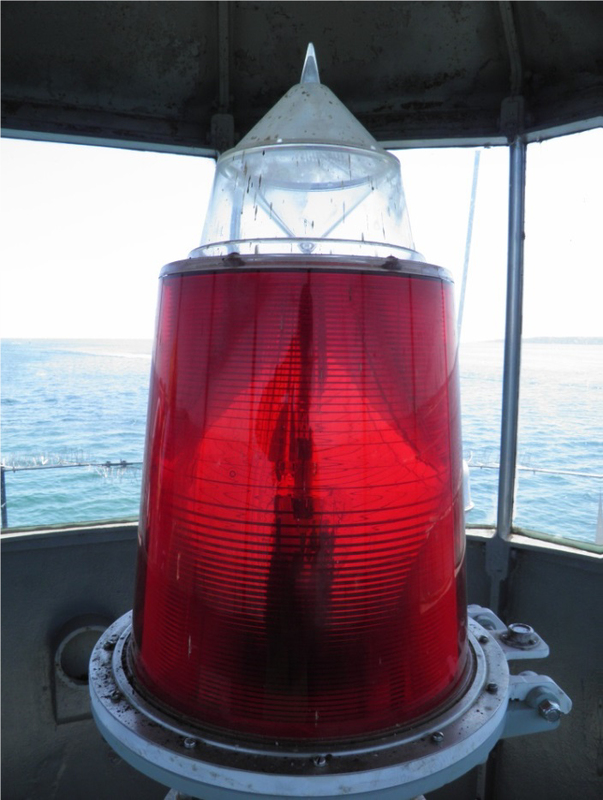 A red glass shade inside made its beam bright red. 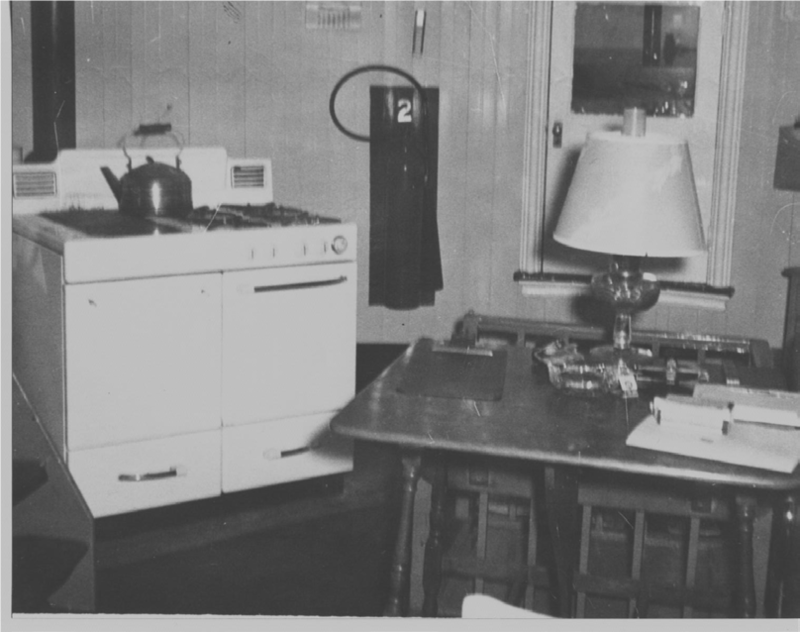 In 1964, the operation of the lighthouse was automated. 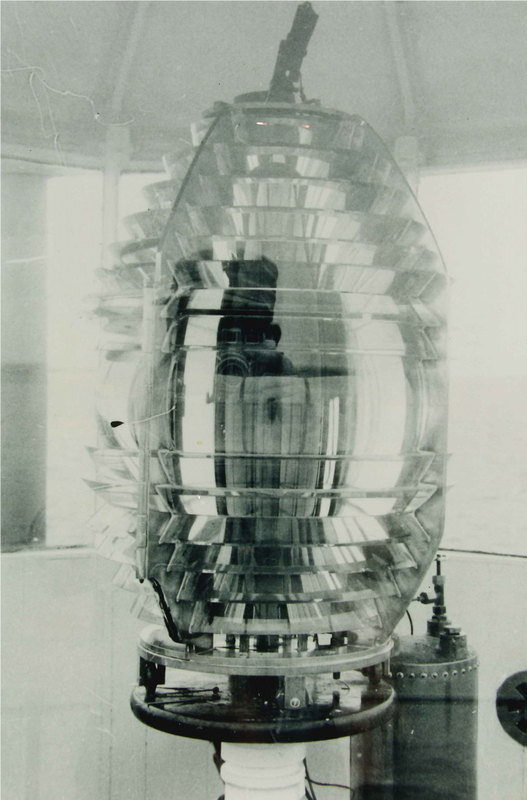 The Fresnel lens was replaced with a plastic optical system, with a signal of two red flashes every 5 seconds. 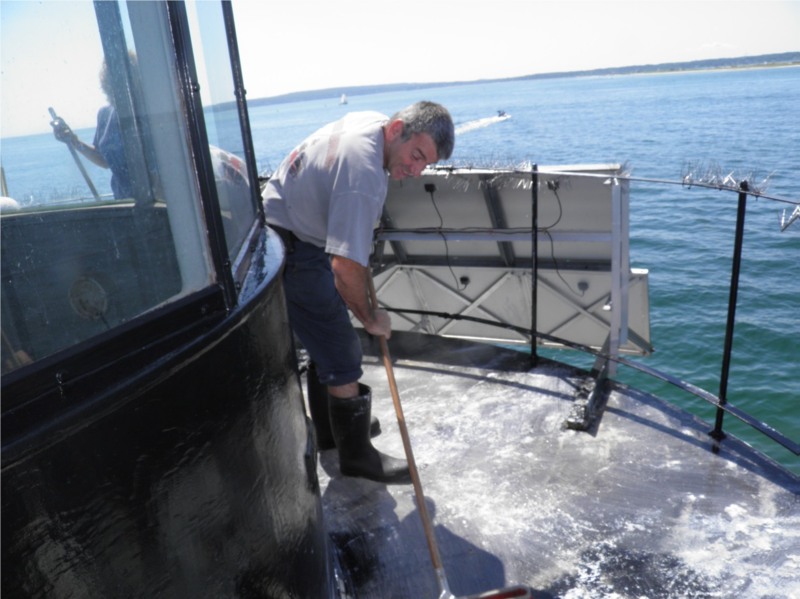 By this time a fog horn had been installed on Bug Light, producing a blast every 15 seconds. 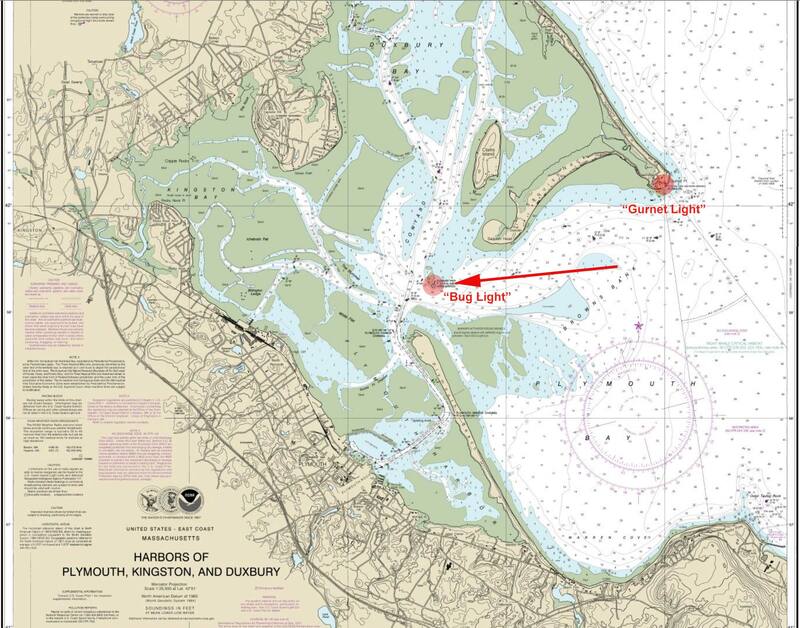 Residents in Duxbury, Kingston, and Plymouth can still hear the reassuring sound of the horn on a foggy night, even though they are miles away from it. 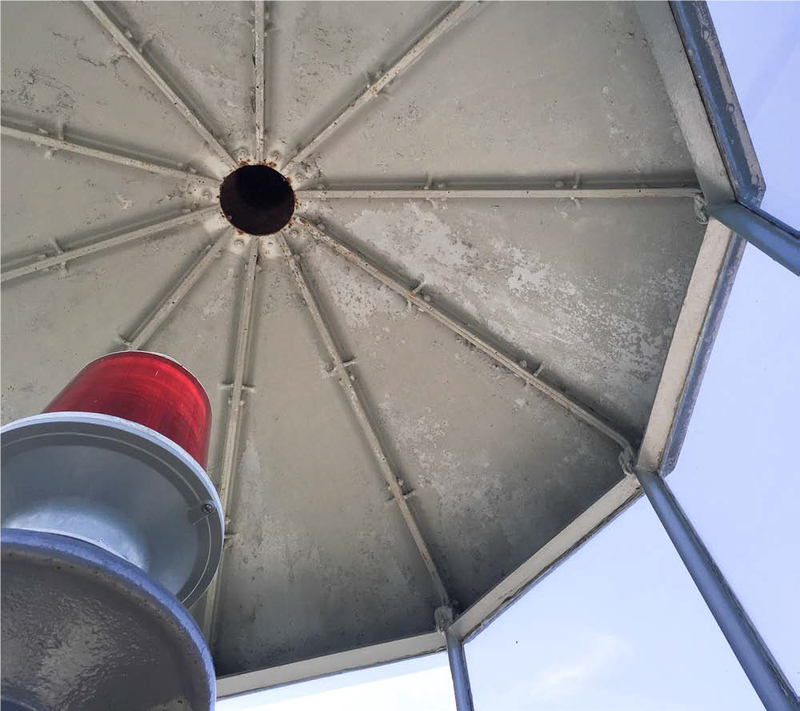 In 1983, due to vandalism and the deteriorated condition of the Bug, the Coast Guard announced its plan to replace it with a light atop a pole. In response, a group of concerned residents who did not want to lose this treasured lighthouse formed Project Bug Light to save it. 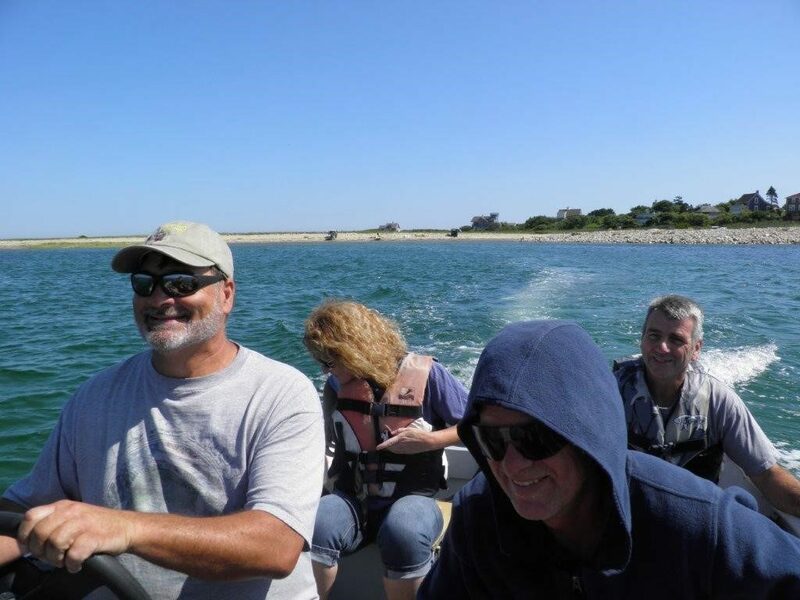 Under licenses from the Coast Guard, a salty band of volunteers has preserved the Bug for over 30 years. 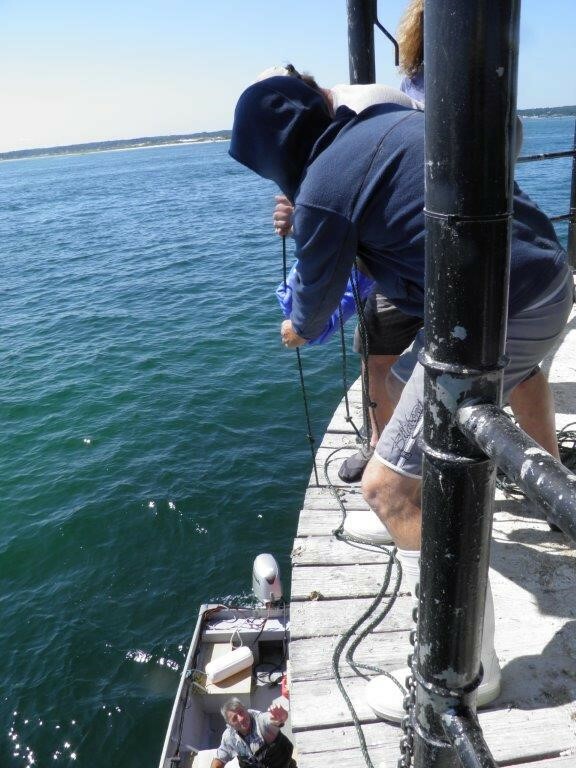 Project Gurnet & Bug Lights, Inc. is a non-profit 501(c)(3) dedicated to preservation, maintenance and support of Plymouth Light Station & Duxbury Pier Light. 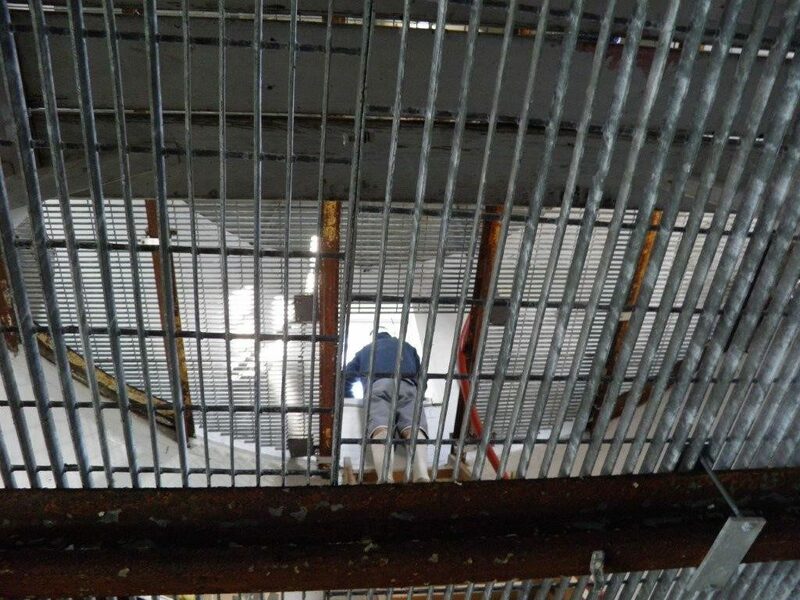 © 2019 Project Gurnet & Bug Lights, Inc. - Keep the Lights Shining!